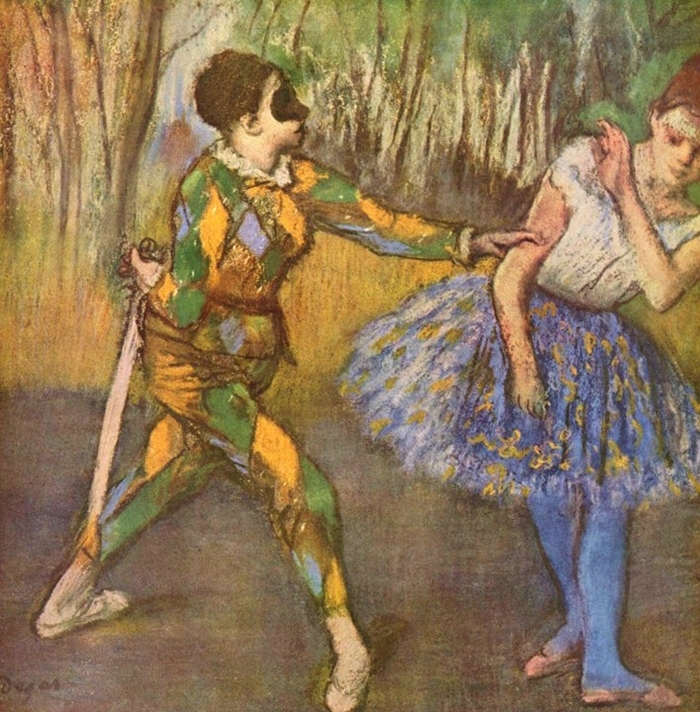 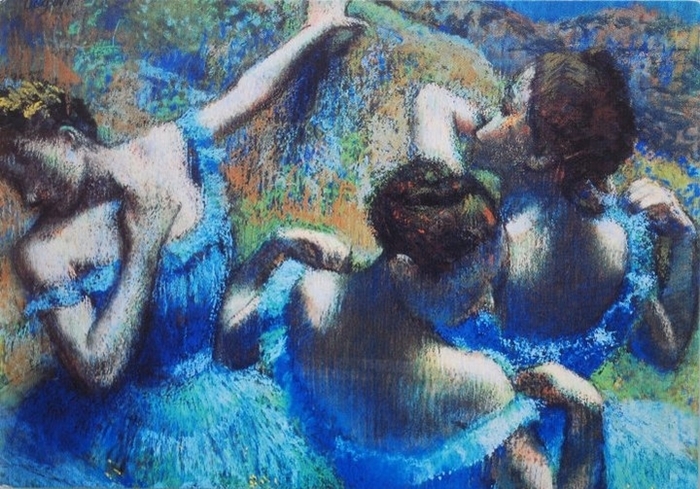 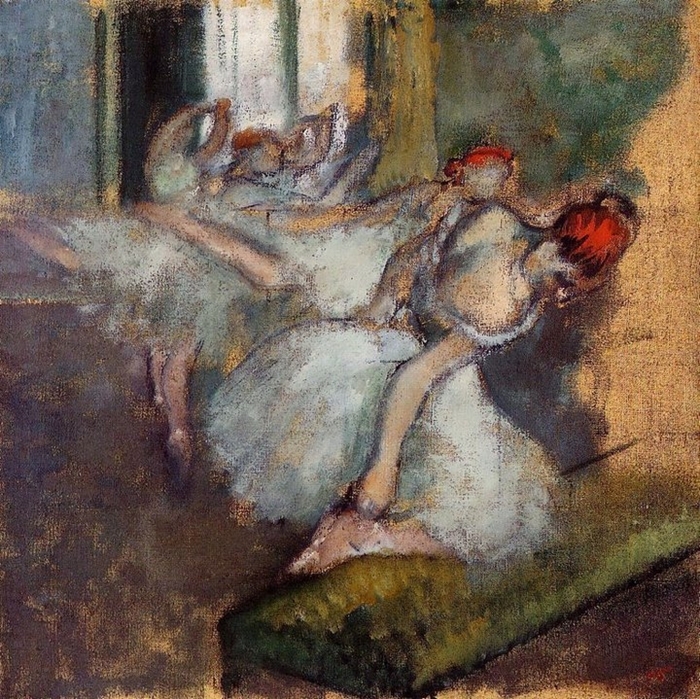 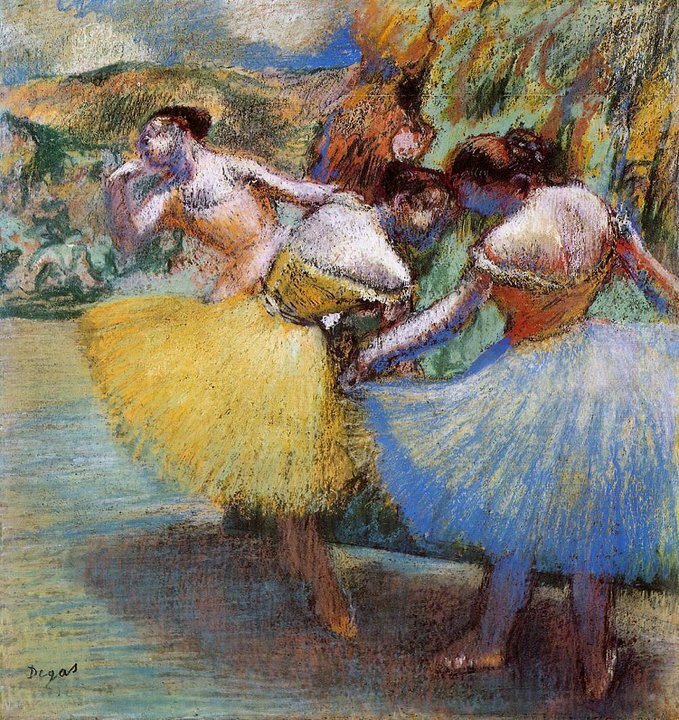 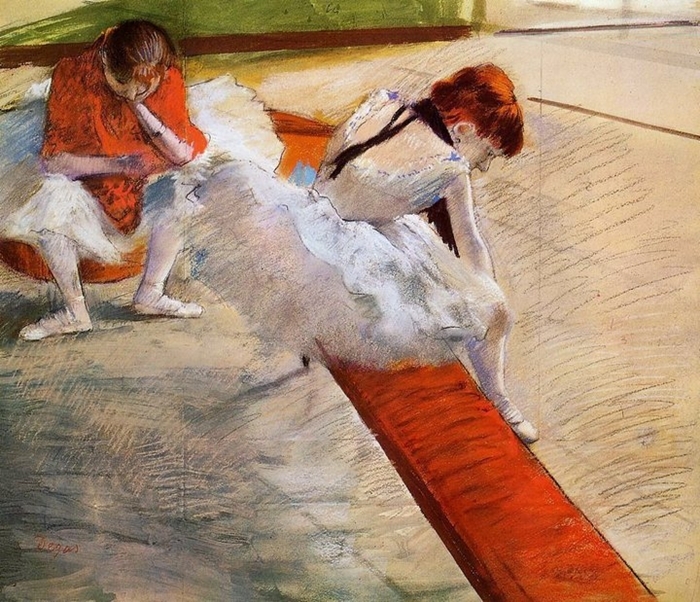 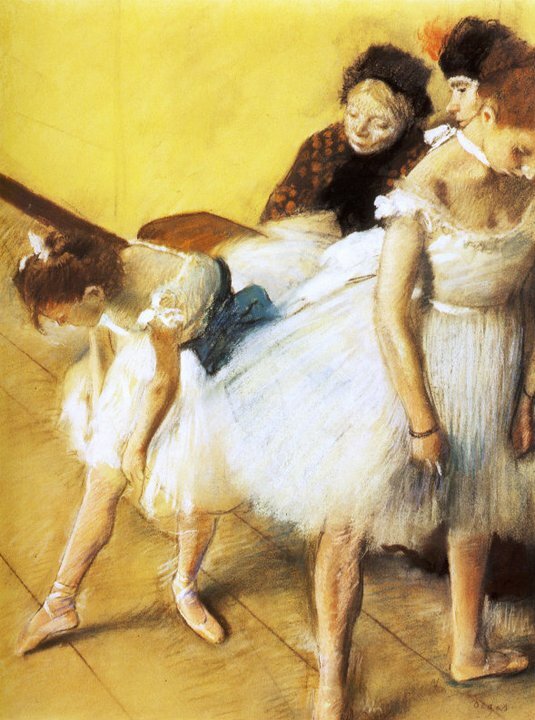 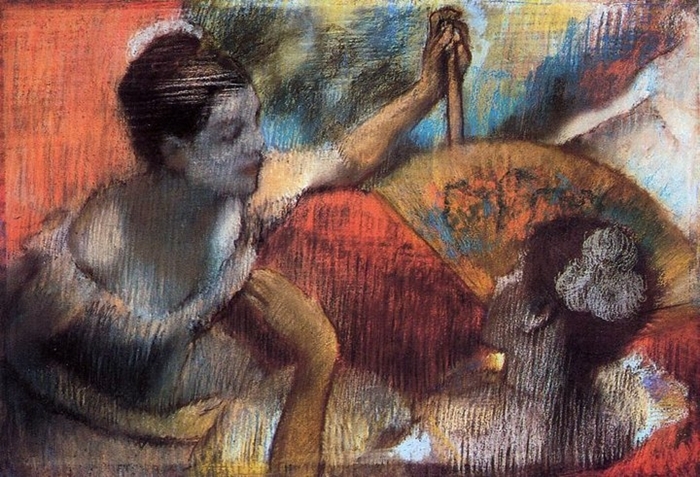 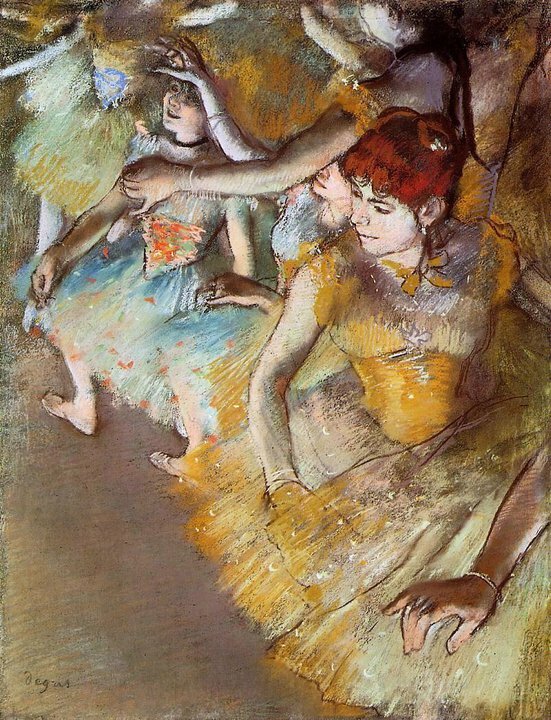 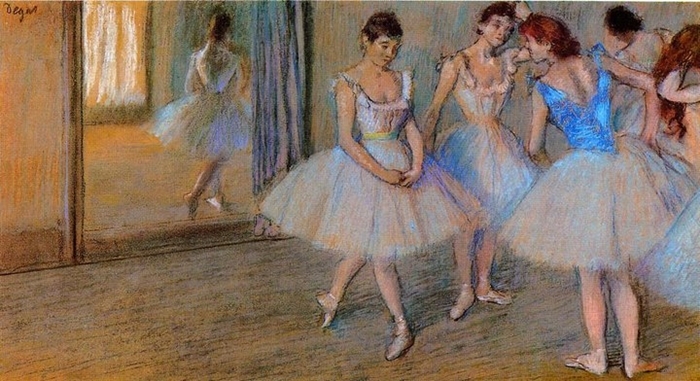 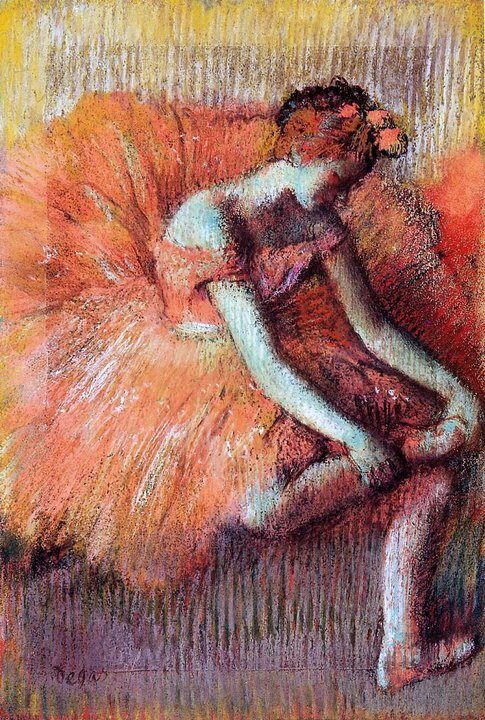 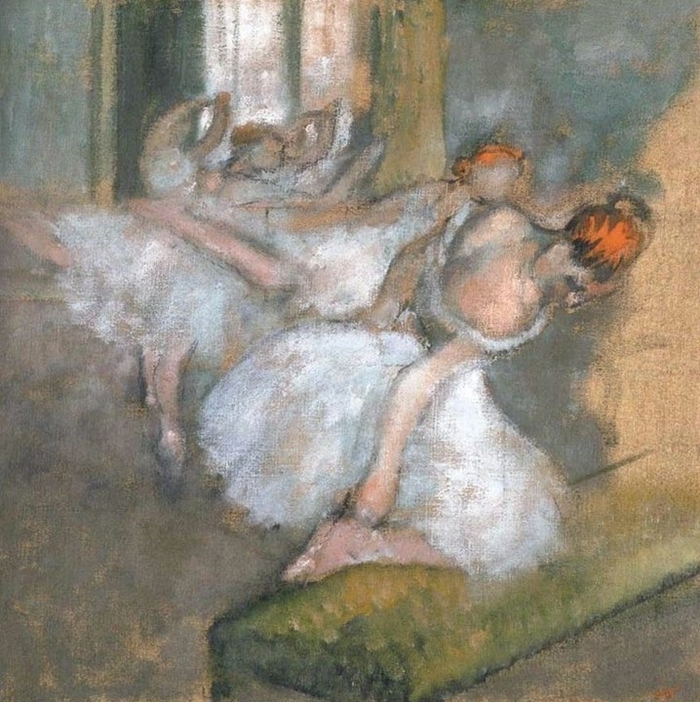 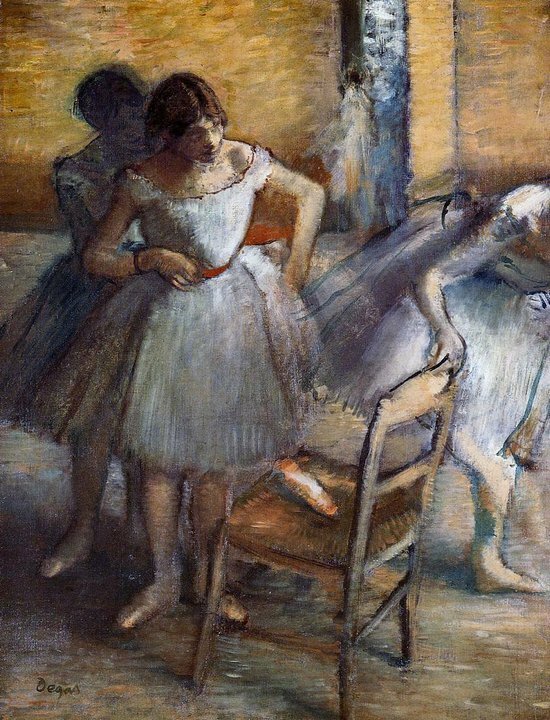 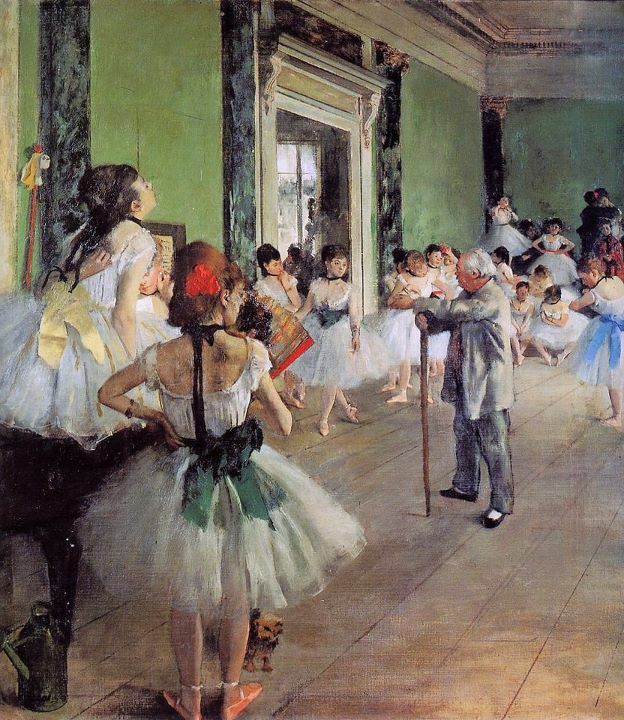 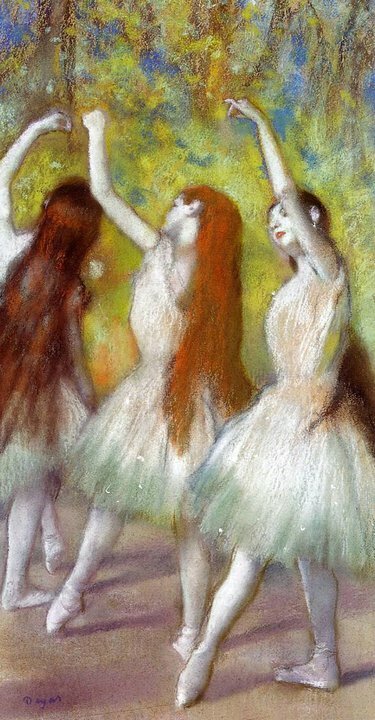 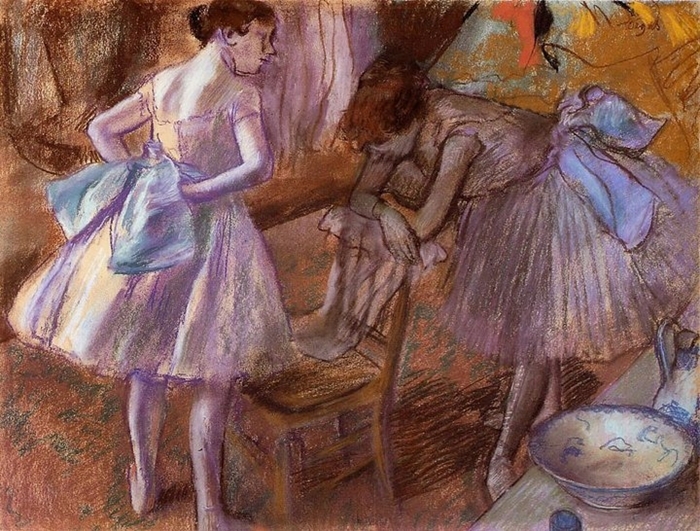 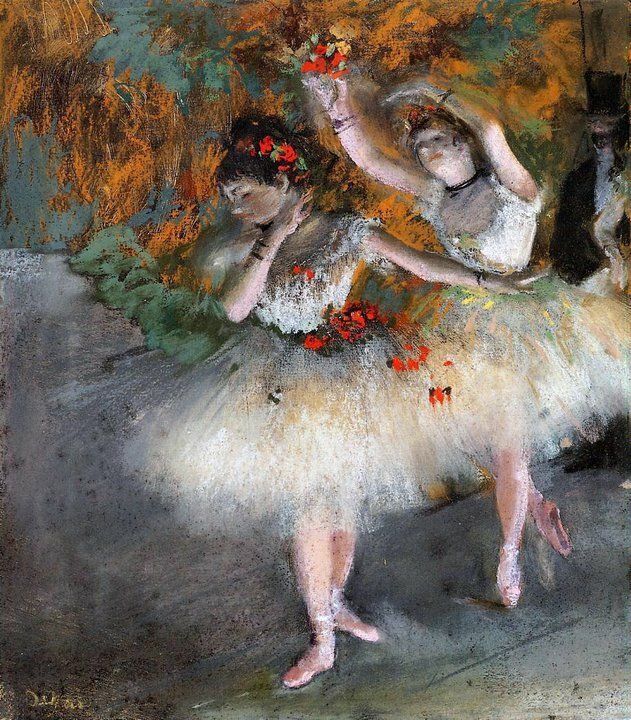 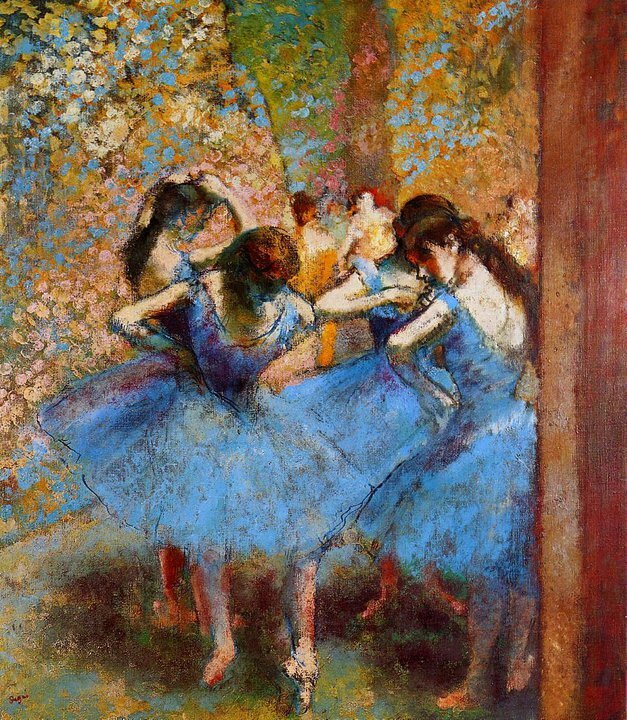 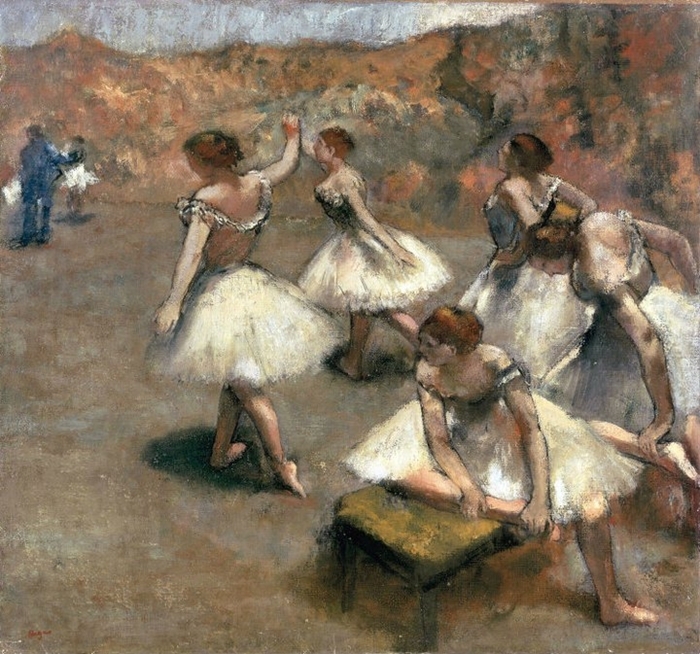 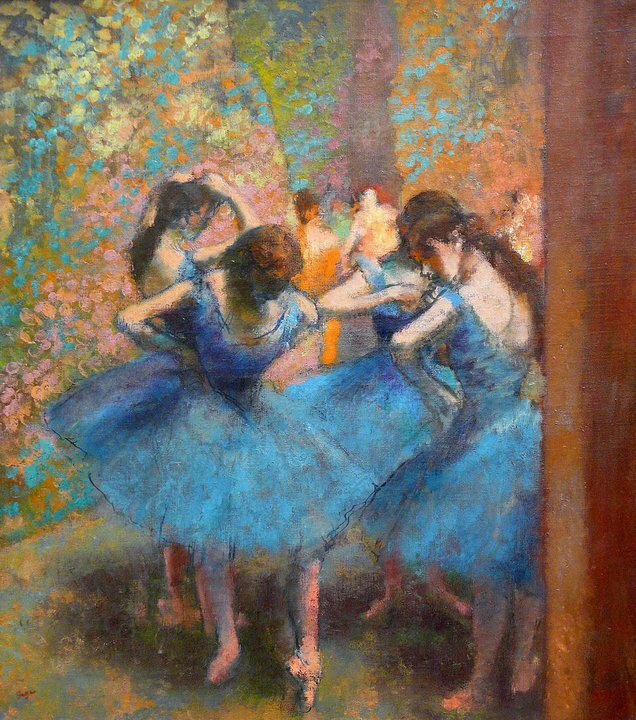 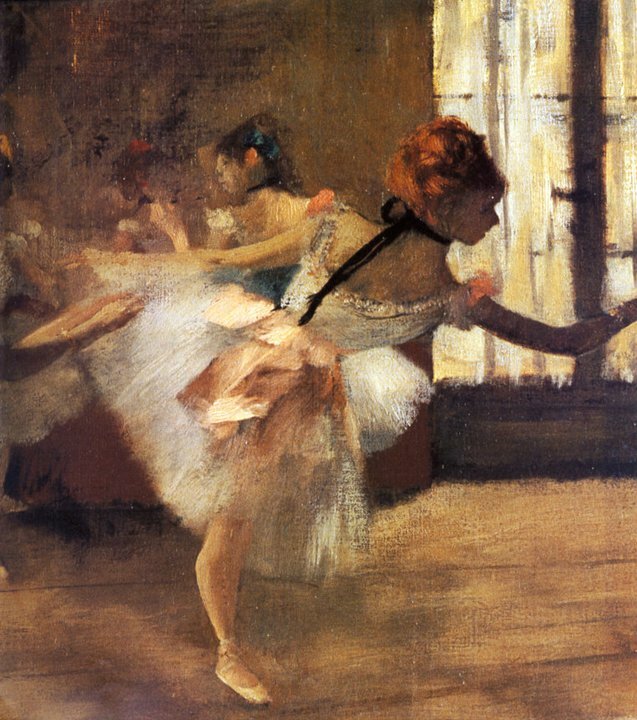 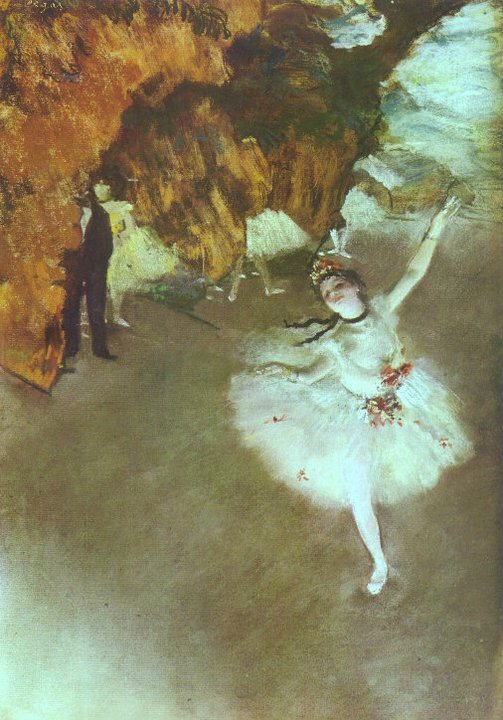 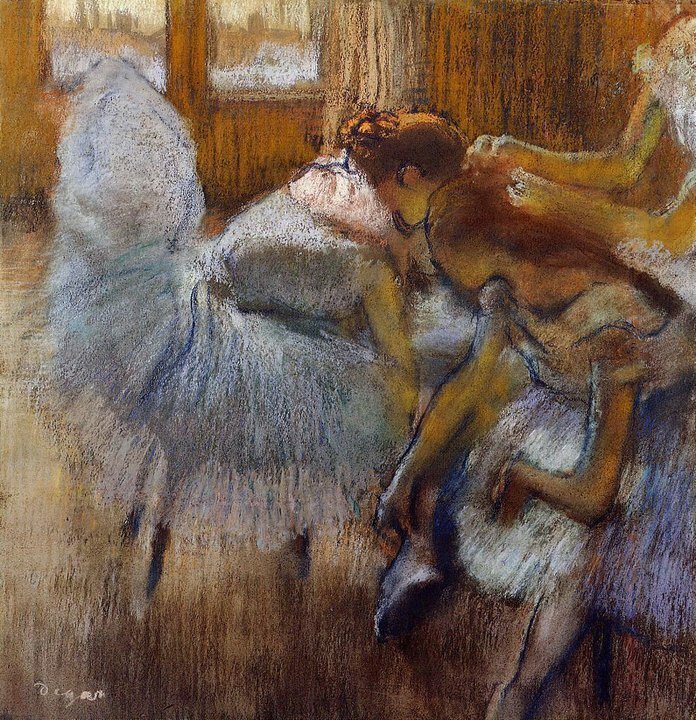 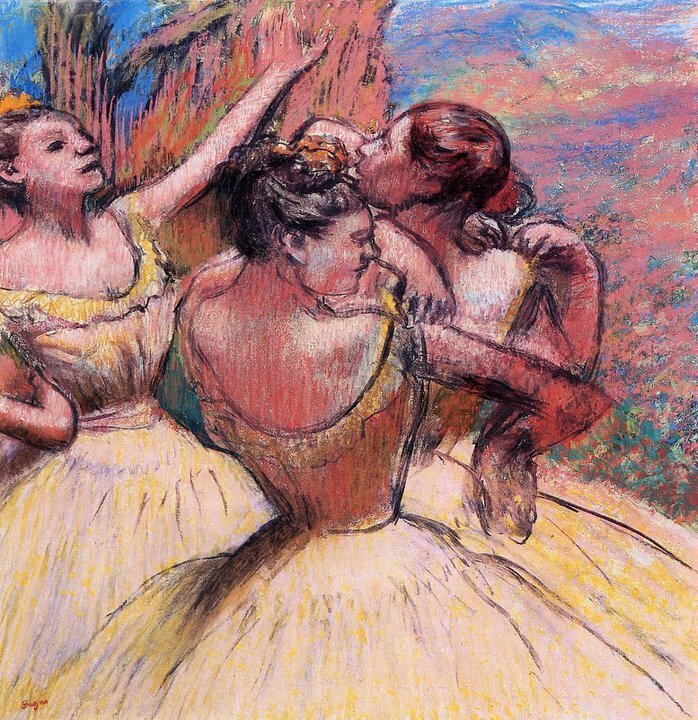 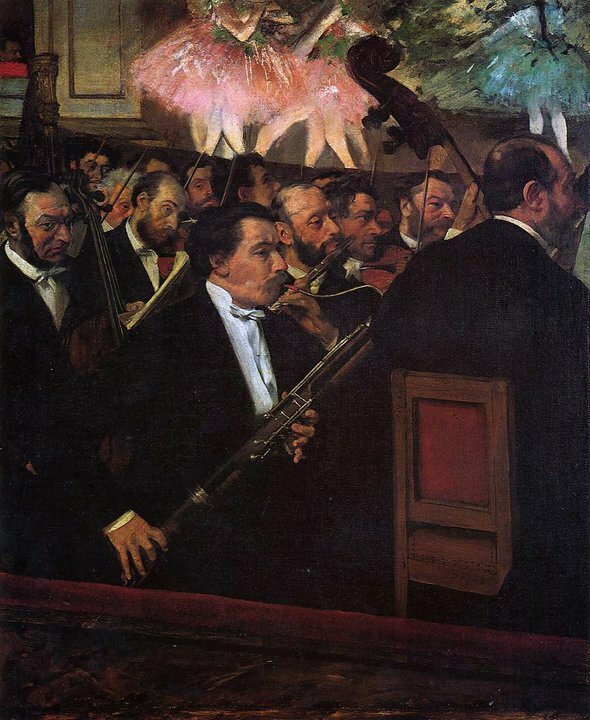 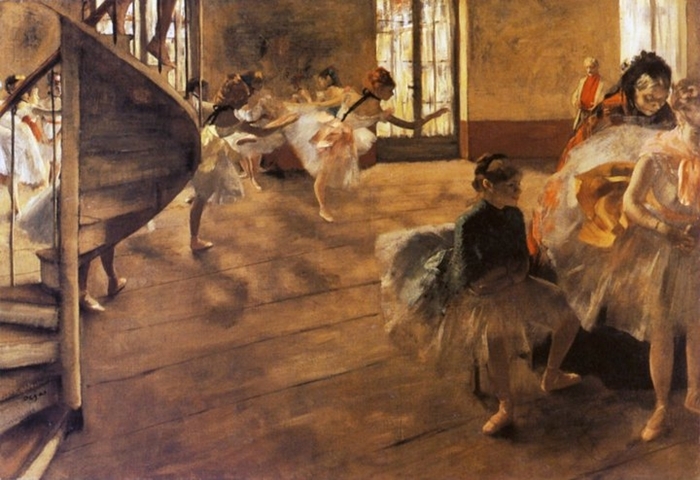 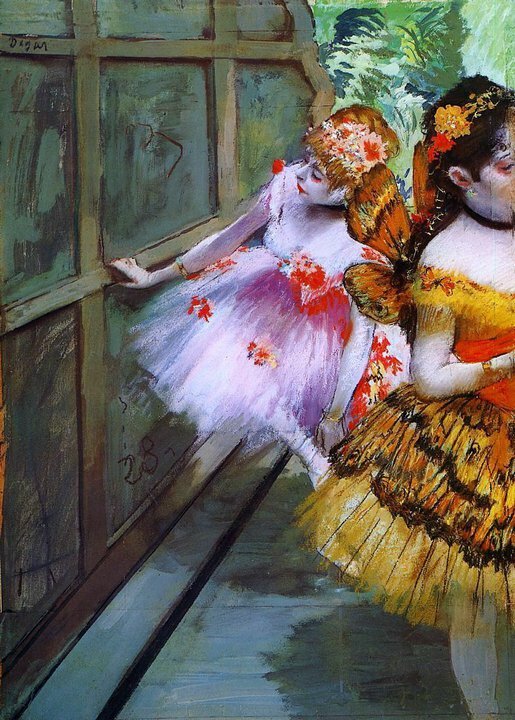 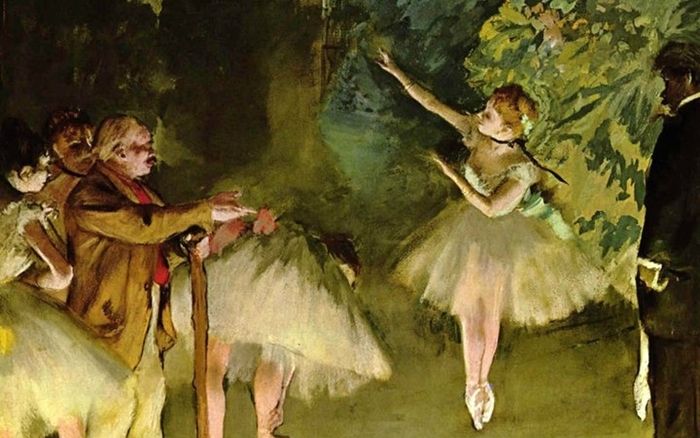 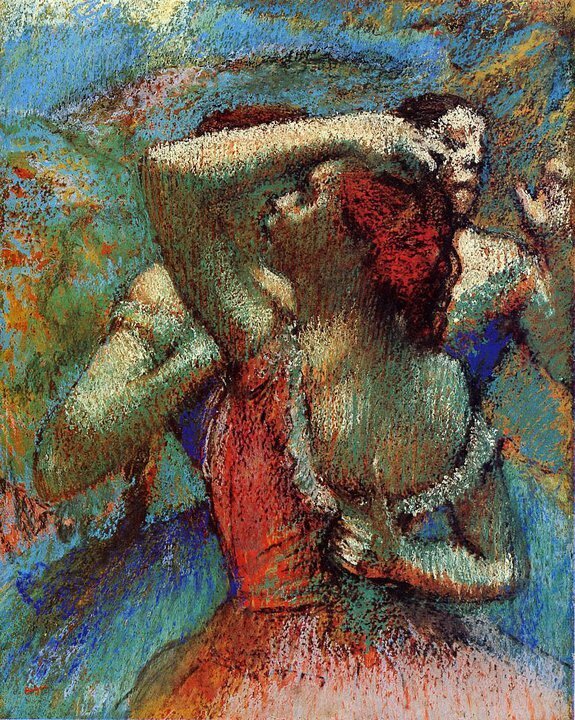 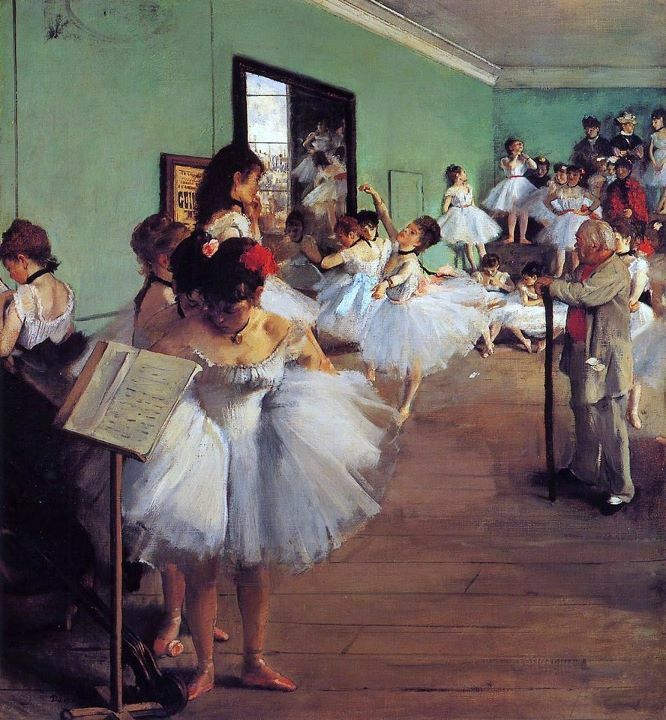 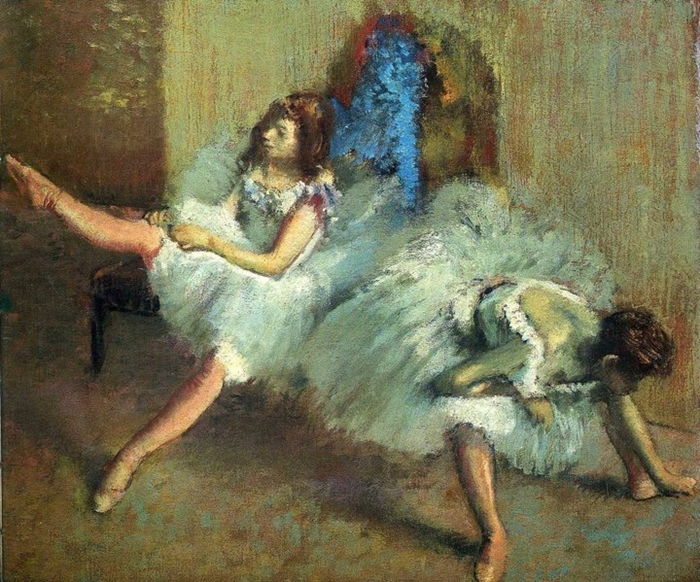 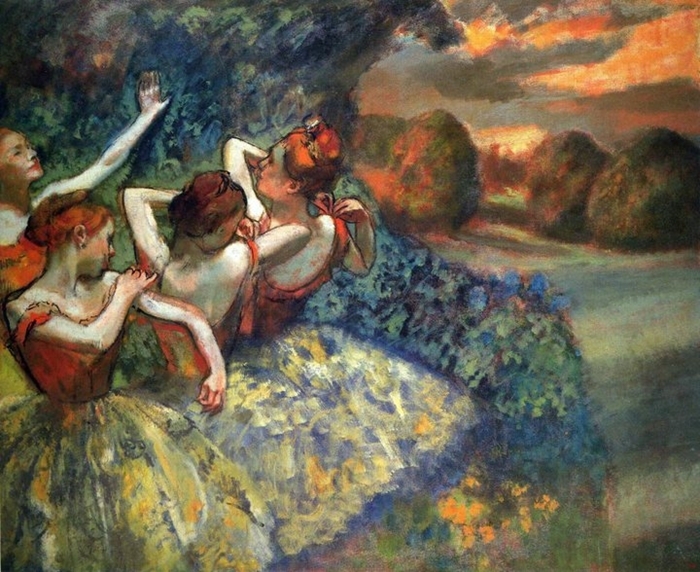 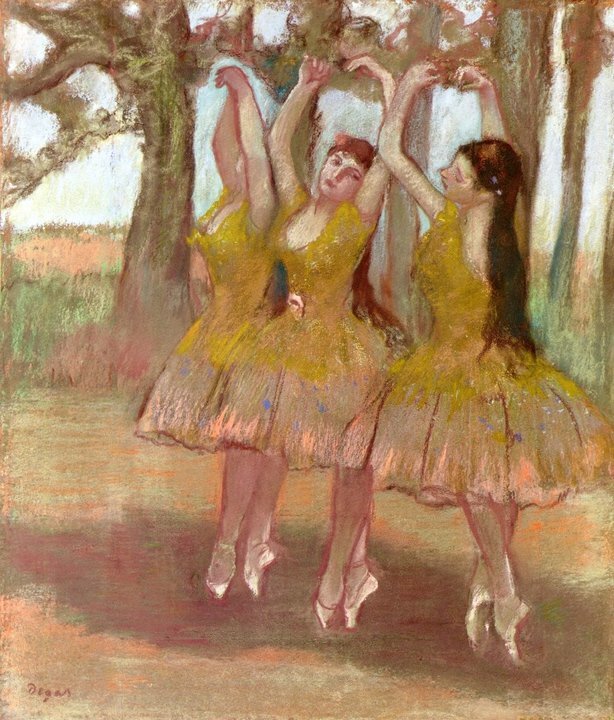 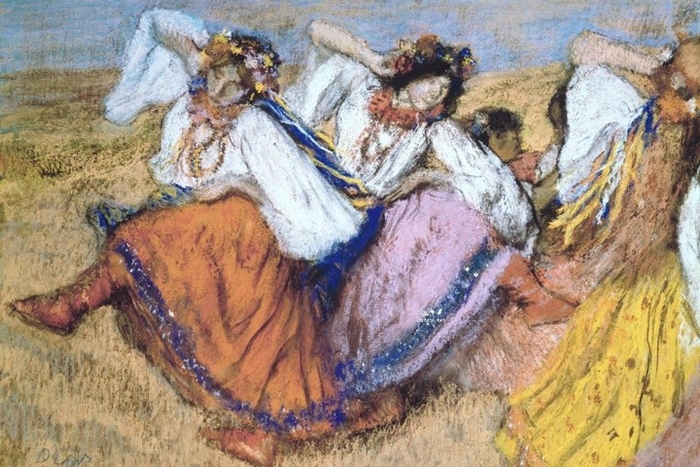 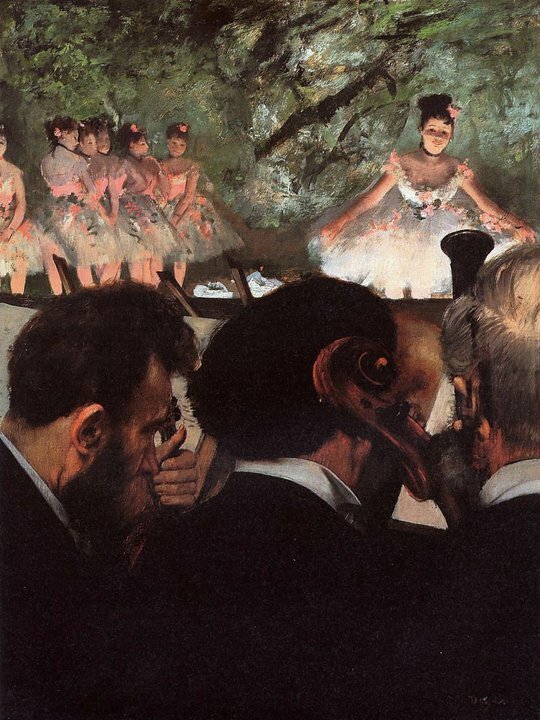 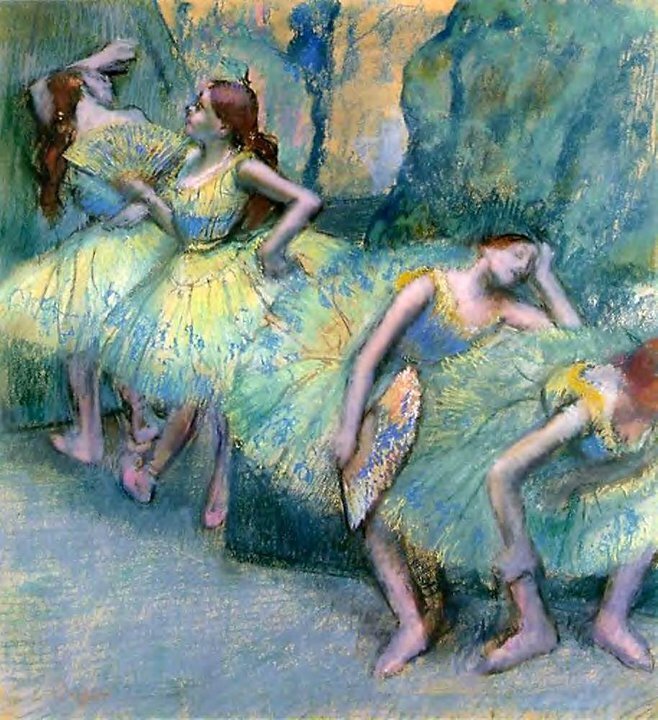 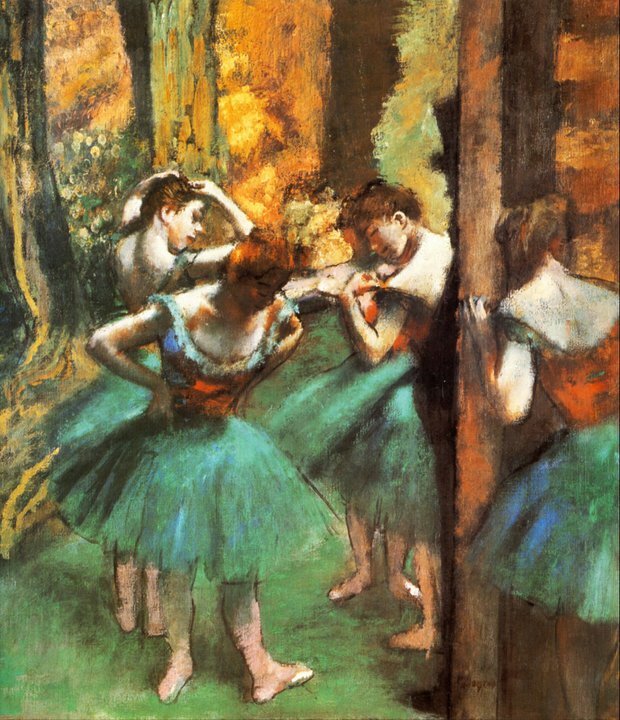 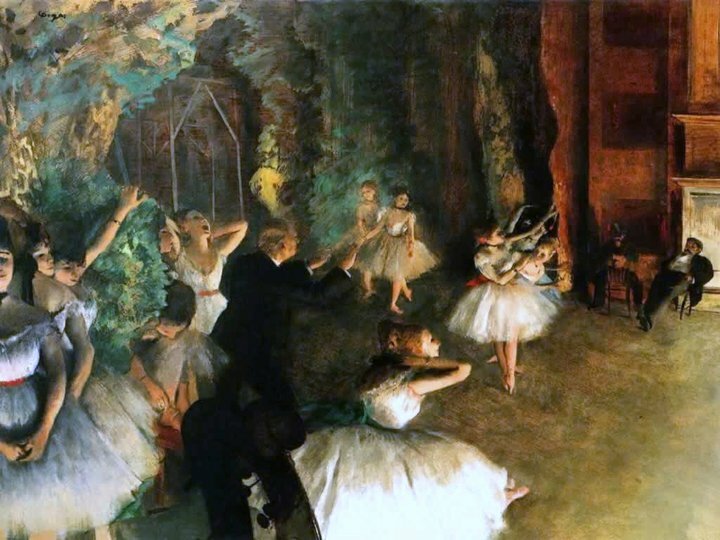 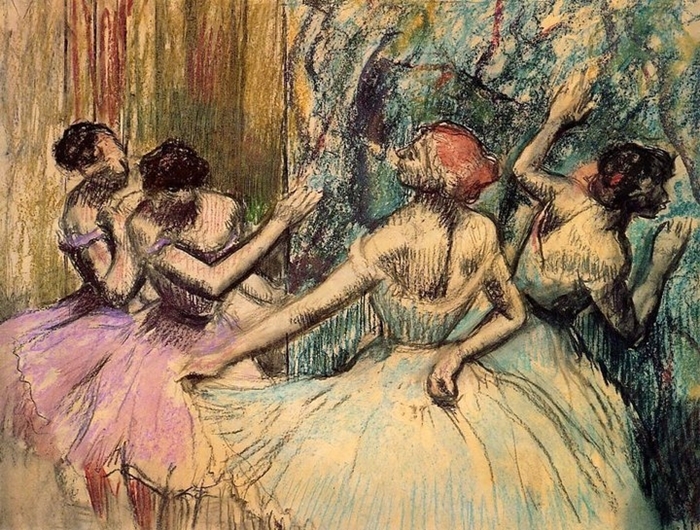 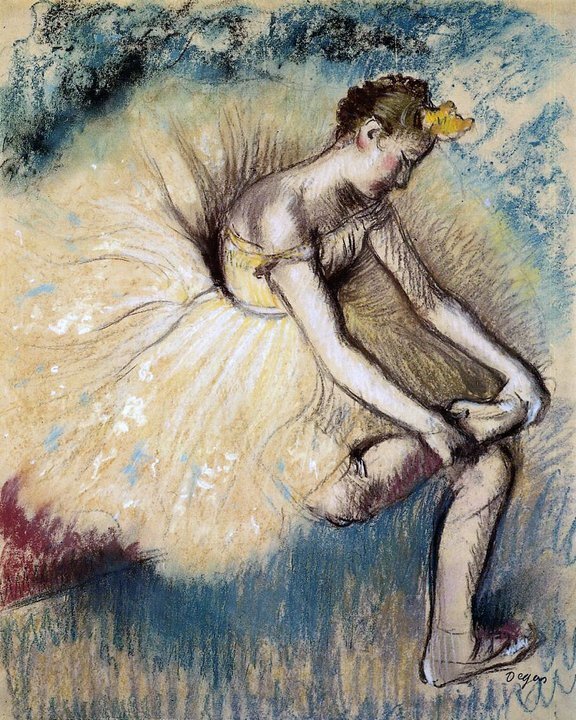 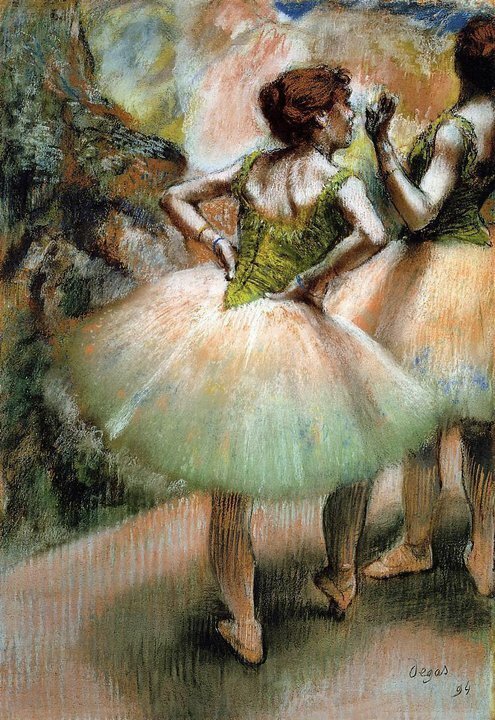 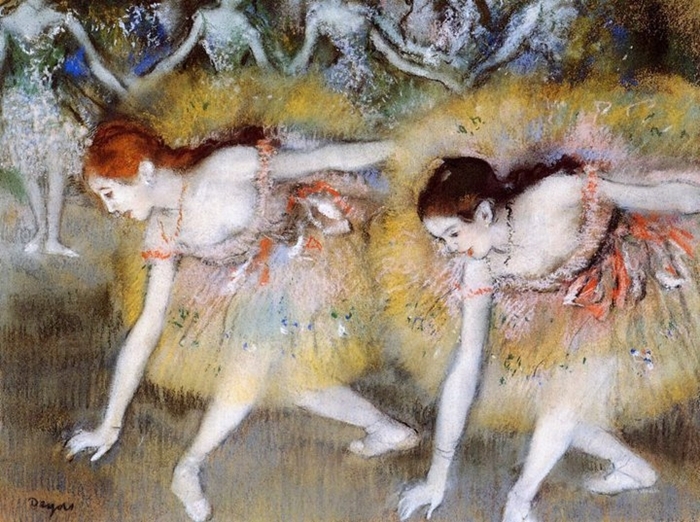 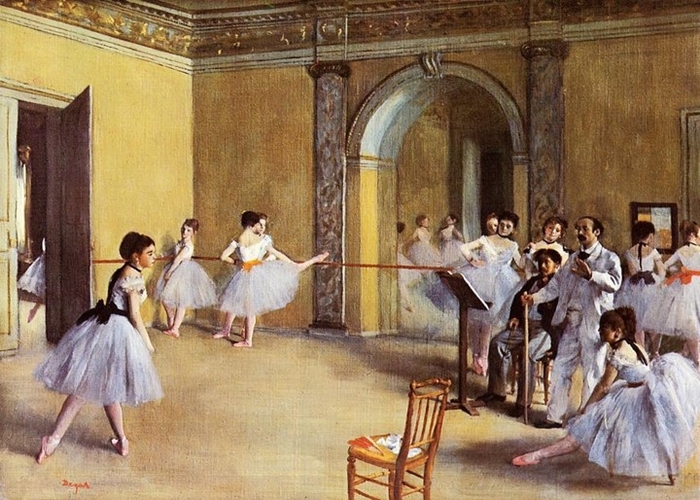 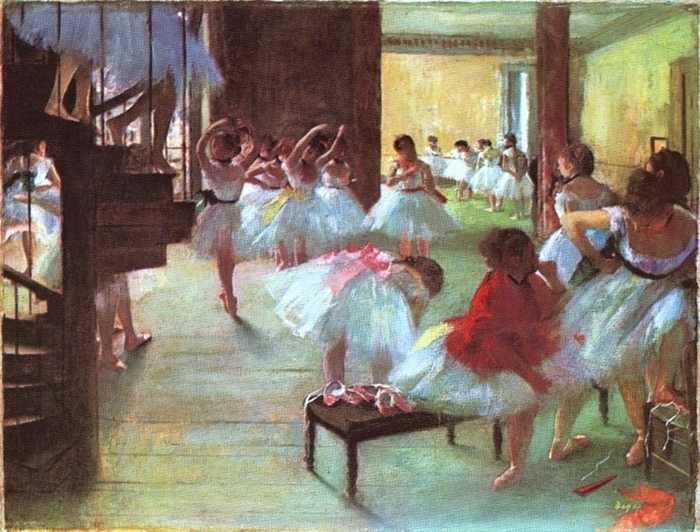 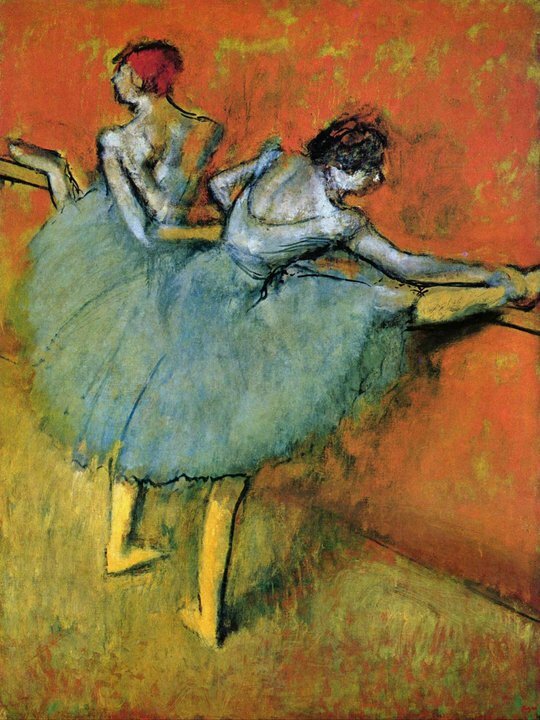 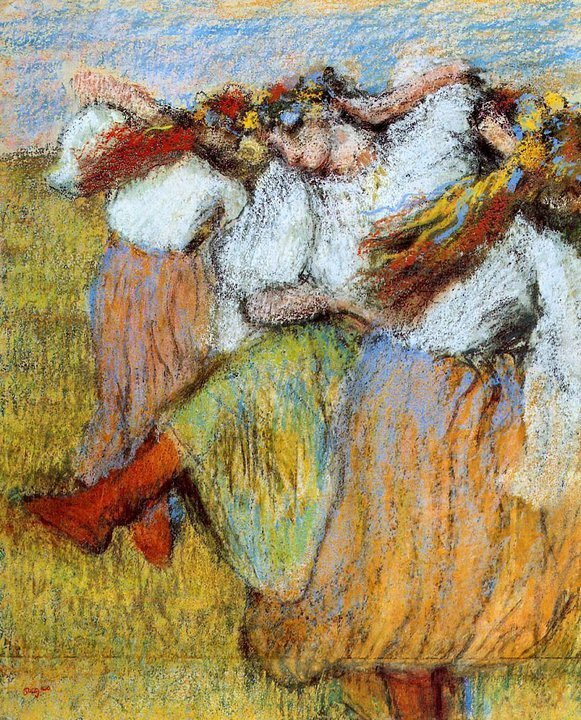 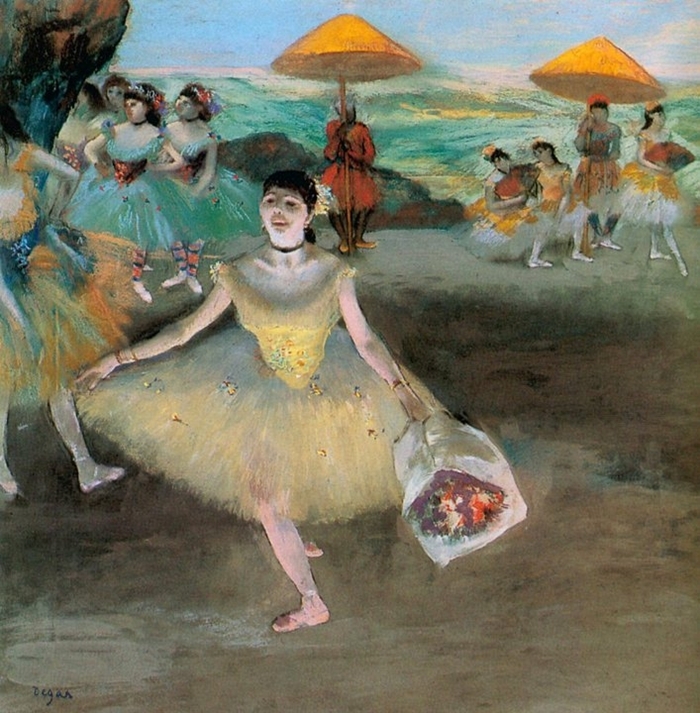 Among the supreme masterpieces of the century are Degas's pictures of the ballet and its dancers. 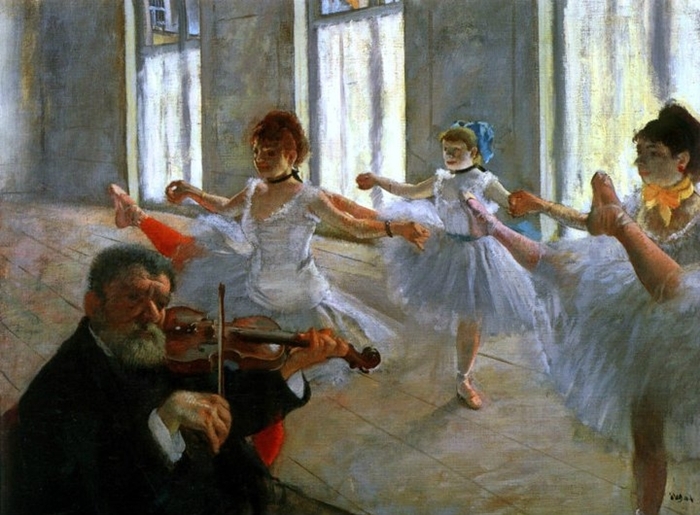 The impulse towards painting the contemporary scene came to him not only from Gustave Courbet 1819-1877 and Manet 1832-1883 but from his friend, the critic Duranty, the exponent of the aesthetics of naturalism. 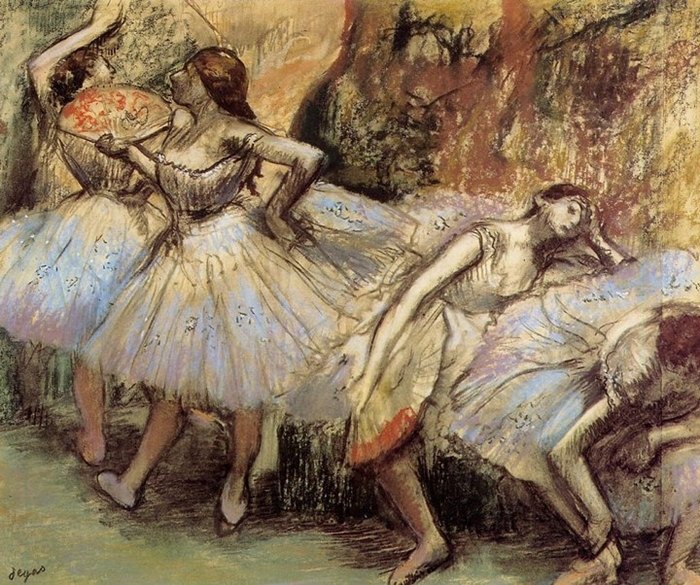 Yet in the particular direction of his tastes and his conception of design he was entirely individual. 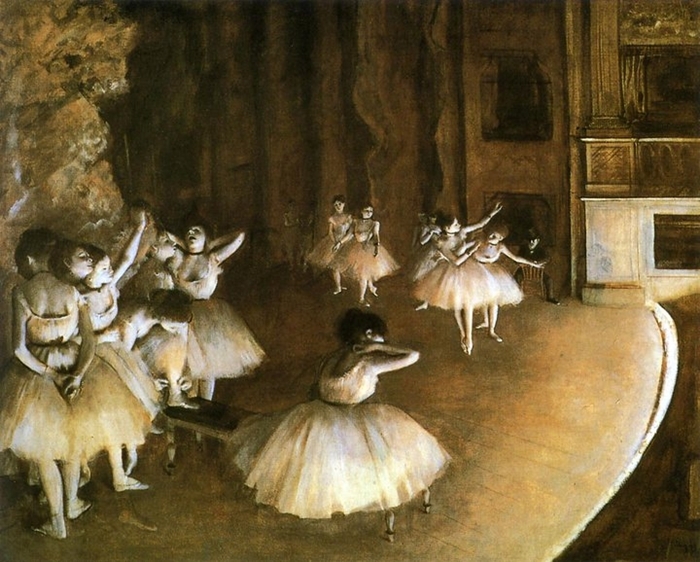 To study and convey movement was a chosen task, first undertaken on the race course and then in his many pictures of the Opera, viewed from behind the scenes, in the wings, or from the orchestra stalls during a performance.